Learn the skills, techniques and exercises you need to achieve a safe and happy birth. What you get when you join Elements Of Birth? Elements Of Birth is founded by Jutta Wohlrab, an international midwife with over 30 years experience. Jutta is a leading authority when it comes to pregnancy and birth. Got a question, need some expert advice? Ask Jutta, our online midwife. Our online birthing classes and tutorials are a great resource for new and experienced mothers. Each one is designed to show you the best way to prepare, manage and enjoy your pregnancy, birth and postnatal period. Our educational courses are packed full of useful tips, tricks and expert guidance that will help you, your baby and your birth partner. By joining Elements OF Birth you will have access to an active community of mothers, midwives and birth professionals. Our community is a safe place for you to ask any questions that you may have, learn from other mothers who share their thoughts and experiences. We love our EOB community and we know you will too. 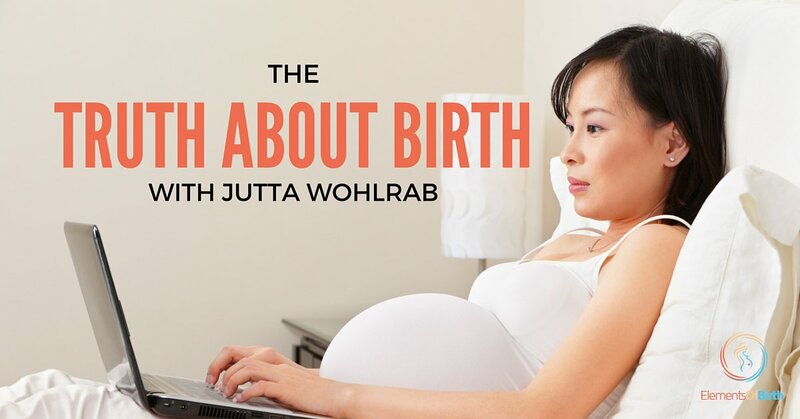  After watching Jutta’s videos, doing the exercises and listening to your expert tips, it definitely made a positive difference in my labor and birth. Learn and surround yourself with other parents going through the same experience as you. Learn from the best birthing and medical professionals in the business….. without the hefty hourly fee! We have many happy mothers but if for whatever reason you feel you have not benefitted from our Elements Of Birth educational platform then we offer a 30 day, no quibble money back guarantee. Does Hypnosis In Childbirth Really Work? Elements of Birth, founded by midwife and yoga teacher Jutta Wohlrab, offers a variety of classes and workshops about birthing, yoga and women’s health. Jutta was accredited as a midwife in Germany 30 years ago and since then she hasn’t stopped learning and incorporating holistic principles in her work.